What is a Well Rounded Education? If we want our students to be prepared for the real world, providing a well-rounded education is the way to go. While the core subjects like English and Math are obviously important, students need more than the basics to succeed. To give our children the best chance for success in life, we need to make sure they learn subjects like arts, sciences and environmental education from the youngest age possible. It is never too early to start getting a well-rounded education. While a well-rounded education may seem like a dream, it is much more of a necessity than a luxury. Our students deserve to be prepared for the world beyond the classroom, and that world is an interdisciplinary reality where everyone needs to know how to integrate various skill sets in order to succeed. A well-rounded education teaches students for life, not just for the test. It encourages them to branch out and push their limits rather than concentrating on one discipline or skill set. By developing an understanding of various subject areas, educators allow students to keep all possibilities open for an unlimited future full of potential. How do you know which subjects to include? As in any question related to education, there is no one-size-fits-all answer. On one hand, it’s definitely not enough to only have Math and English with a sprinkling of Science. On the other hand, most schools do not have the resources, even with grants and donations, to offer every subject that could possibly be useful for students. Although music, arts and environmental education are certainly important for a well-rounded education, they are often the first to go when tough cuts need to be made. If the resources are really limited and you can only offer one or two of these options, then the administrators need to make the tough choice about what is preferable. However, if possible, it is ideal to provide as much exposure as you can to all three areas of enrichment. Of course, it goes without saying that today’s students need a background in computer literacy as well, but most schools are already taking care of that to some extent. Music and arts can be taught as stand-alone disciplines, but it is even better if they can also be integrated with other subjects. Where can I get grants for a well-rounded education? Of course educators want to give their students the best education possible, but getting the proper resources to turn the ideal into a reality can sometimes be a challenge. There are a number of places to look for grants, but you should probably start with the US Department of Education. They have started a new grant program under the Every Student Succeeds Act (ESSA), which “emphasiz[es] access to a well-rounded education that includes a wide variety of disciplines – such as music, the arts, social studies, environmental education, computer science and civics.” This program also comes with lots of resources detailing different ways that funds can be used to facilitate a well rounded education. What has the research shown about well-rounded education? 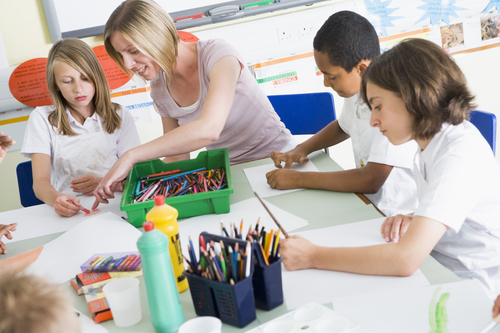 In a study conducted by researchers at Columbia University, it was discovered that students who had at least three years of art instruction in school had better developed creative thinking and had more positive attitudes toward school and learning. Those are huge benefits. Creative thinking is certainly an important life skill and a positive attitude toward education can help motivate students to aim higher and persevere in their studies, even when they are challenged. A study conducted about the Wolf Trap Foundation’s Arts in Education Model Development and Dissemination (AEMDD) grant project showed that students can gain better math skills when arts education is integrated into subjects in the regular school curriculum. A well-rounded education is not a luxury for today’s students, it is an absolute necessity if we want to prepare them for the realities of today’s world. Almost all professions and careers, and certainly global citizenship, require an interdisciplinary understanding and out-of-the-box thinking, which can best be cultivated through a well-rounded education.